I don't think that I post any My Beauty Diary mask review yet. 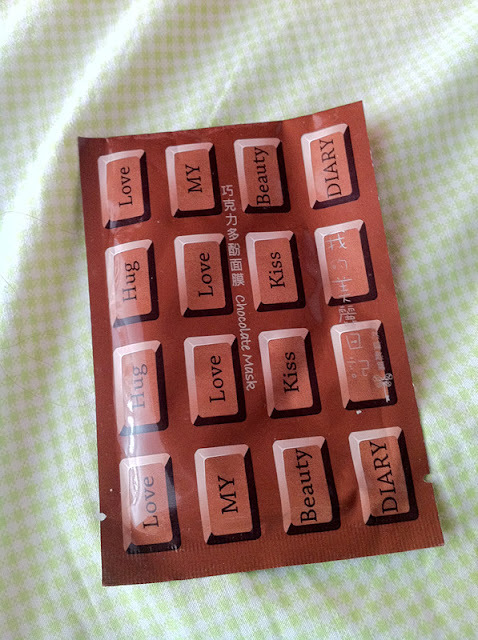 My Beauty Diary is a Taiwanese mask brand that is very popular in Asia. It's a sheet mask not mask that you need to rinse off after applying. The one I have is their Chocolate Mask. When I first saw this mask, I think I will fall in love with it because of the chocolate that's within the mask. It didn't fail me and I did end up loving it! I know I look terrible with mask on so close your eyes if you can't bear with this! I don't know if you can see but this mask is way too big for my face. The mask sheet is sticking out a whole lot on the side of my face. I can tell you that this mask sure does smell like chocolate! I have to control myself from wanting to eat the mask. 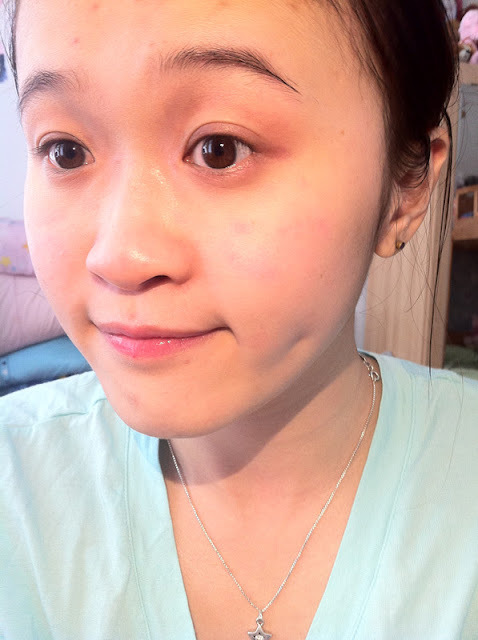 My skin after putting on mask. Please ignore my horrible dark circle! I love this mask. I don't know if you can see but this mask brightening up my dull skin a whole lot! I usually put this on before bedtime and apply my usual skincare after mask. The next morning, my skin would literally glow! I am so glad I found this mask for my dull dull skin! If you have dull skin like me then this mask is for you too! Trust me, your skin would have this beautiful dewy finish the next day! I bought this chocolate mask off of Ebay and forgot its price. It's around $1.50 for a sheet! You can either buy it separate or it comes in a box of 6 sheets. I would definitely recommend this and plan to stock up more soon! If you haven't tried any My Beauty Diary mask then I highly suggest you check them out! 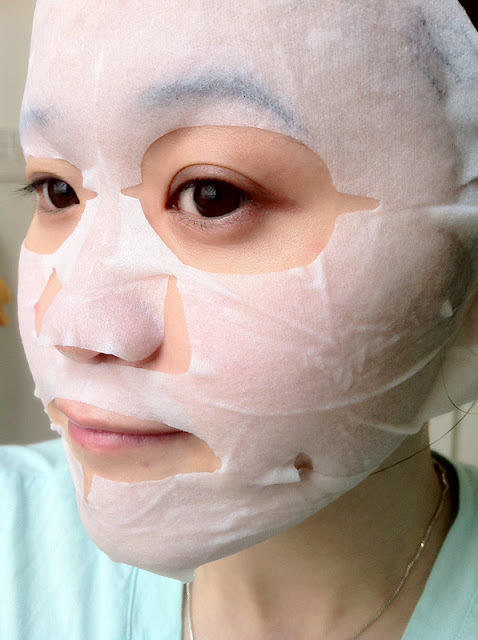 Do you like My Beauty Diary mask? If so, which one is your favorite? 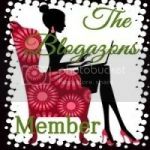 Have you enter My Giveaway yet? DISCLAIMER: The product(s) mentioned in this post were purchase by me for review purposes. Read full disclosure here. o0o, thanks for sharing! I want to try this. @D.SadieYou should definitely give this a try! @DianaHow do you like this mask? @cominicaYes, this is a great mask! You should try it too! @saltvinegarMaybe each mask has a different size?